Call a San Diego Immigration Lawyer at 619-350-3111 Now for FREE CONSULTATION. Law Offices of Hasbini presents the best San Diego Immigration Lawyers. San Diego Deportation and Asylum Lawyer by Habib Hasbini, Attorney at Law. 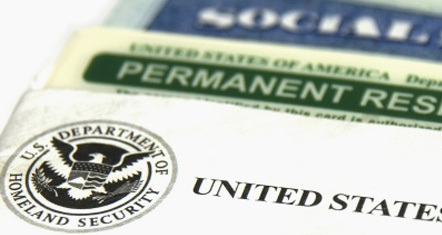 Applying for asylum during a deportation proceeding may offer some immigrants a means of staying in the United States. If you are facing removal (formerly known as deportation) proceedings — meaning that the immigration authorites are trying to expel you from the United States — but you fear returning to your home country, one option may be for you to apply for asylum as well as withholding of removal. However, the application process is different now than if you were filing without the threat of removal hanging over you. People who are not in deportation proceedings can first file their application for asylum and withholding (which is done on Form I-589) with U.S. Citizenship and Immigration Services (USCIS). After the I-589 has been accepted for processing, they will attend an interview at a USCIS asylum office. Only if the interviewing officer does not grant asylum to the person will he or she be referred to immigration court proceedings to present the application all over again. But if you are already in immigration court proceedings, you will have to skip this step and file your application for asylum straight with the immigration judge. Asylum is granted to aliens who can prove they are unable or unwilling to return to their home country due to having faced past persecution or having a well-founded fear of future persecution based on their race, religion, nationality, political opinion, or membership in a particular social group. Withholding of Removal — which you ask for at the same time as asylum — is granted to aliens who can prove that, if returned to their home country, their life or freedom would be threatened on account of one of the five protected grounds listed above. The applicant must show a “clear probability” of persecution, meaning that it is “more likely than not” that he or she will be subject to persecution. There is a separate ground of withholding of removal provided under the United Nations Convention Against Torture, for applicants who would be tortured if returned to their home country. The standards for withholding of removal are harder to meet than those for asylum. But withholding is a useful option in cases where the person is barred from a grant of asylum for some reason (perhaps due to the past commission of a crime) but would truly be killed or tortured if returned home. Some people are even barred from a grant of withholding of removal, however, including those who have participated in the persection of others or those who have committed a particularly serious crime. as well as deportation and removal matters. with the emotional investment clients make in the immigration process. speaks Arabic, English, French, and Spanish. www.sandiegoimmigrationlawyer.info providing high quality legal counsel for all immigration matters. Few things are more worrying than facing immigration problems. Your future is at stake when USCIS and the Immigration Courts make decisions about your family’s right to stay in the U.S. The Law Offices of Hasbini is a recognized leader in immigration law, with the highest reputation in San Diego for helping immigrants resolve their immigration problems. Our staff is committed to bringing immigrant families together, and to keep them here when trouble strikes. Our firm aims to provide the best possible legal representation to all clients. We are proud of the representation that we provide and we value each one of our clients. If you are in need of high-quality legal counsel, contact our firm and see how we can help. The firm’s founder, Habib Hasbini, has the critical insights immigrants need in defending their immigration case. With 15 years of experience, Habib Hasbini has the knowledge to successfully navigate his clients through the U.S. immigration system. It is vital that your case be handled by immigration lawyers with your best interests in mind; our attorneys have resolved even the most difficult immigration problems, and earned a hard-won reputation representing immigrants at the cutting-edge of immigration law. We can handle any type of ​immigration problems regarding a spouse of a US citizen within the US, parents of US Citizens, sons and daughters of US citizens, spouse & unmarried children of US residents, married sons & daughters of US citizens, and brothers and sisters of US citizens.Our firm is dedicated to helping individuals with immigration matters when they are visiting the US, and assisting them before the Asylum Office. Law Offices of Habib Hasbini is dedicated to winning the toughest immigration cases. Your case must be carefully evaluated to determine the best legal strategy to assist you and your family . Our offices serve immigrants from all over California, the United States, and around the world in most kinds of immigration defense matters. We are here to help you quickly solve your immigration problems, so you and your family can finally build a future here in the United States. Why Law Offices of Hasbini? San Diego immigration lawyer Habib Hasbini and his associates at the Law Offices of Hasbini have a 10/10 Avvo rating and ranked number 1 at www.immigrationlawyersandiego.info and at www.sandiegoimmigrationlawyer.info providing high quality legal counsel for all immigration matters. He is also the most famous San Diego Immigration Lawyer at Nolo. Contact Law Offices of Hasbini at 619-350-3111 or hasbini@immigrationlawyer-sandiego.com for free consultation. Copyright © 2019 San Diego Immigration Lawyer: San Diego Immigration Attorney – Law Offices of Hasbini. Powered by WordPress. Theme: Accelerate by ThemeGrill.